JIm's Mowing Franchiee servicing Calwell and the wider ACT region. Who has the time to stay a completely trimmed lawn these days? If you never seem to find the time to get care of your lawn then you are on the accurate spot! All you require to do is to call (02 6223 2885) us right away and think your problem solved! Lawn Mowing Chisholm and lawn care are simple when you let the professionals at Fox Mowing ACT handle the work. The welcoming, trustworthy experts use the most up-to-date tools and methods obtainable to keep your lawn in good-looking and healthy condition. Our Lawn Mowing Chisholm services are conduct by train team members with years upon years of knowledge in the field house step up. Lawn mowing is not just something we are high-quality at – we are simply unbelievable at it! The lawn may always seem greener on the other side but we will make certain that all eyes will be focused on your lawn! Fox Mowing ACT keeps your yard looking great at reasonable price. We will work with you to develop reasonable lawn maintenance plan that suits your requirements as well as your budget. Properly Lawn mowing is very important for your lawn and when the grass is mowed frequently, not more than 35% of its high at a time. Make sure that every line you make with the lawn mower it overlaps the previous line - this is to make certain no grassland is gone uncut behind. Doing the lines if your mower has a roller alter the directions every time and you will have brilliant result of dissimilar color lawn. Remember to regulate the height of your mover so it does not mow more than 35% of the grass. Then you should have always green and lush lawn. Control your neighbor's lawn using a roller and make able to be seen stripes. Mow your lawn higher and this is how you will stand out in the neighborhood. Contact Fox Mowing ACT At Home expert teams today on 1800 369 669. 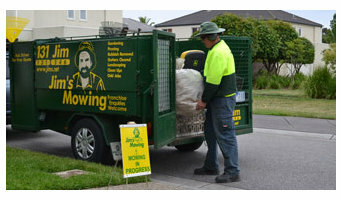 Lawn Mowing Rivett can provide you a hand when you are in require of regular lawn maintenance in Rivett. Whether it's to cut overgrown grass, a one-off lawn mowing, we can provide you a wide range of lawn services. Simply contact us and explain right what type of lawn treatment you require. The professionals will visit your property soon and handle the job for you. They can also give you specialized advice on how to maintain a healthy lawn, seasonal lawn care tips and when is the best time to mow a lawn. For over 10 years, our company specializes in the supply of natural products that are vital to the inhabitants of modern cities: high-quality fresh fruit and vegetables, as well as the products of their processing. Our main mission - supply of products for restaurants, cafes, clubs and bars, canteens and food processing plants, rest houses and health centers, supermarkets and hypermarkets in Moscow and the Moscow region towns. What does a lawn and sprinkler contractor in Canberra, Australian Capital Territory do? Find a lawn and sprinkler contractor in Canberra, Australian Capital Territory on Houzz. Scroll through this page to find professionals in your area that can supply and install turf and artificial grass; set up sprinkler and irrigation systems; as well as provide general lawn maintenance services. You can browse their portfolios, read reviews and see how other homeowners rate their service, expertise and products.